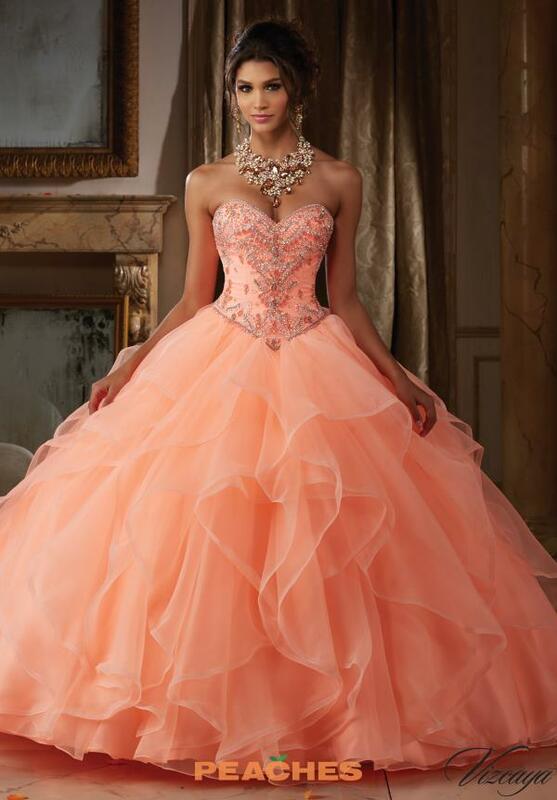 Beautiful Vizcaya ball gown 89115 features a strapless sweetheart neckline, a flattering V waistline and gorgeous organza skirt. A stunning combination of rhinestones and like colored beads create an outstanding design while the soft ruffles on the organza skirt add elegance. Peaches Boutique in Chicago has a lot of Vizcaya ball gowns to try on.